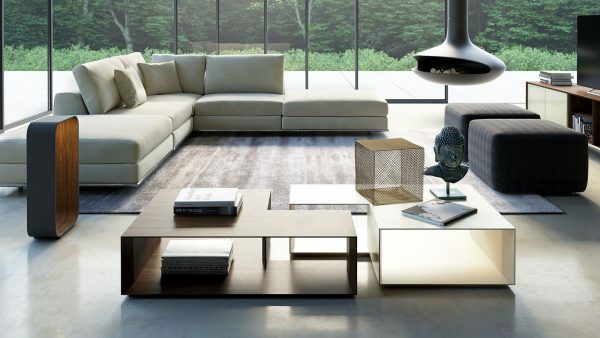 Elegant in its minimalism, unparalleled comfort, and epic scale, the Perry offers modular components creating endless configuration possibilities. Upholstered in 100% American-made Revolution Performance Fabric, the Perry’s exterior is stain-resistant, exceptionally durable, easy to clean, resistant to fading, and is free of chemical treatments and PFCs. Select woods (sustainably forested) and layers of increasingly dense foam in the base offer the perfect balance of softness and support. Inner details include reinforced corner-block joinery and standard fill (poly fiber wrapped around a foam core). Laser-cut stainless steel tubing finished in reflective polish adorns the base of the sectional. Includes 1 matching throw pillow per standard seat (excludes Corner and Ottoman). 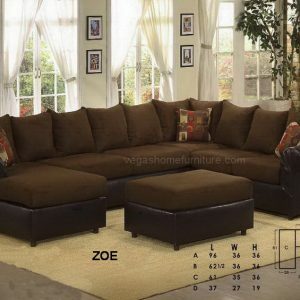 Sofa configuration shown includes 2 End-of-Sectional Ottomans, 2 Armless Seats, and 1 Corner Seat.